Malnutrition is a disease of Public Health importance hindering the success of MDGs 4 & 5. The disease continues claiming the lives of majority of children under five years globally, especially in Africa. 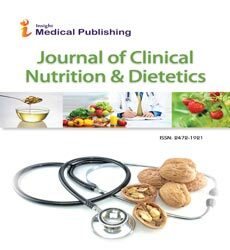 A cross-sectional study was designed for 386 mothers with children less than 5 years to explore the association between dietary intake and hygienic practices at Ahafo-Ano North District, in Ashanti Region of Ghana. Simple random sampling, systematic and purposive sampling techniques were used to choose mothers with children under five years from 5 selected communities for the administration of questionnaire and taking of children’s MUAC. At the end of the study, the study found 6.7% of the under five children at Ahafo Ano North district were severely malnurished 43.8% mildely or moderately malnurished and the remaining 49.5% also found to be normal. The study also found relationship between vitamins, initiation time of water, kind of food introduced during weaning and malnutrition. Finding however showed a significant relationship between mothers decision child feeding, forbidden foods and fetching of water by children and malnutrition. On socio-economic status of mother’s relationship with malnutrition, mothers occupation, age, marital status and religion were all found to be associated with malnutrition. From the study, environmental factors such as defecating place of the household, closeness of toilet to the kitchen, washing of hands by mothers before feeding and storing place of cooked food were all found. Based on the findings, it was recommended that, the District Health Directorate should educate mothers/caregivers on appropriate feeding practices needed to improve child’s growth in order to promote children’s nutritional status.